Dining in restaurants when you’re trying to lose weight can be a real challenge. Even the most seemingly healthy entrées can become high-calorie mistakes thanks to oversized portions and hidden calories from sauces, dressings and preparation techniques. 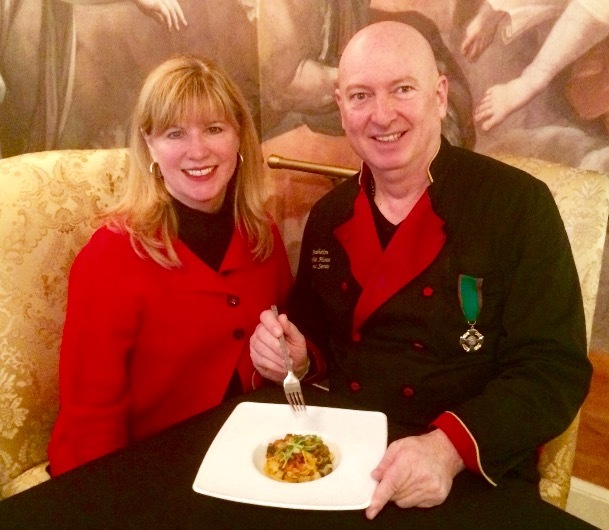 No one knows this better than Bruno Serato, master chef, entrepreneur and owner of The Anaheim White House. Bruno loves great food and he’s the consummate showman. His food presentations are exquisite and his restaurant is one of those destination venues where lunch or dinner feels more like an event than a meal. But Bruno also knows firsthand what it feels like to struggle with weight issues. After losing 25 pounds on the Lean for Life program several years ago, he came up with a great idea. Bruno decided to feature a selection of lower-calorie, portion-controlled entrees on his Anaheim White House menu. He introduced a special four-course “Lean for Life” prix fixe menu. The special menu has recently been revised and expanded, and the choices he’s offering are delicious. Guests choose from two appetizers, followed by a salad and a choice of four delicious entrees, including chicken, filet mignon or baked white fish. It even includes dessert! One of the things I love most about Bruno, who was named one of CNN’s 2011 Heroes of the Year for his remarkable charitable work in feeding 1,000 homeless “motel kids” every night, is that he’s always coming up with fresh, creative ideas. He recently invited me to lunch at his restaurant to share an exciting idea for a competition. It will not only prove that healthy restaurant dining is possible, but that it can be fun, too! The contest will be of special interest to those living in or near the Anaheim area. For a number of lucky participants, it will be a fun opportunity to prove that it’s possible to lose weight while also enjoying meals in restaurants. Stay tuned. We’ll be announcing more details soon!